Win a Scotty Cameron Putter! Looking for a game that tests your nerve on each and every shot? Lucky7 Hold'em™ is a poker chip game that rewards positive shots and penalizes negative shots. Try it for yourself and we think you'll agree that it's one of the most action packed golf games around!. 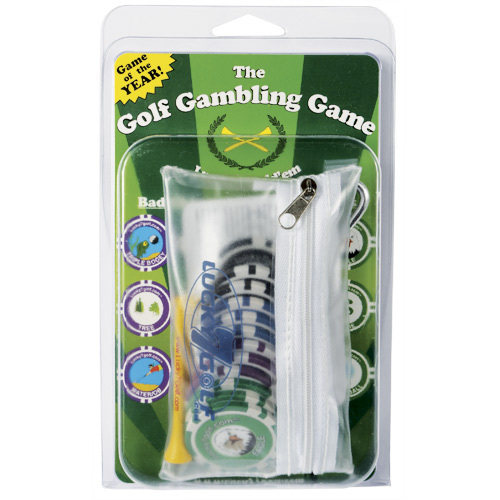 It can be played with 2-4 players, and makes a great gift, door prize, or golf outing favor. An action-packed game that is played during your round. 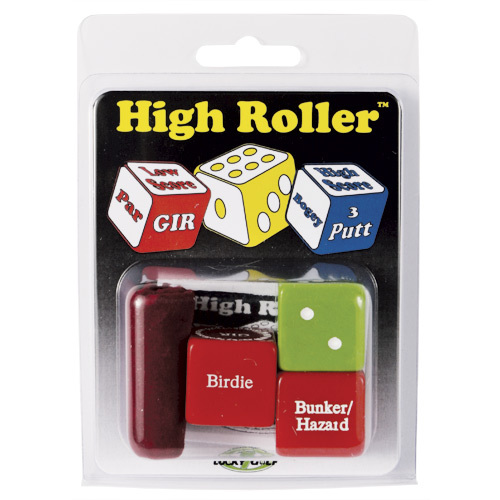 The game consists of three specially made dice: A positive die that can reward you for positive shots/scores, a negative die that can penalize you for negative shots/scores, and a regular die that determines the point value of a particular hole. It can be played with 2 or more players, and can also be played as a partners or team game. Looking for a great game that can be enjoyed by everyone? 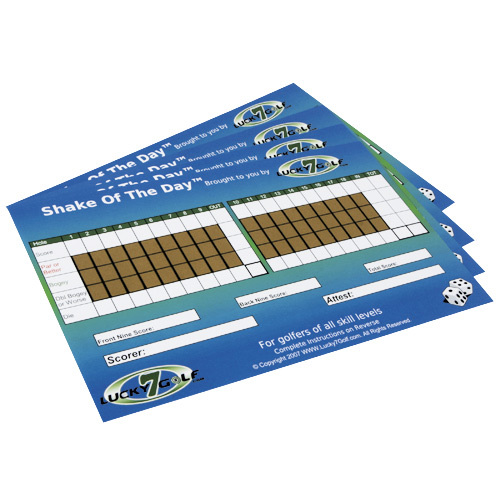 Shake of the Day™ is an on-course, scratch off golf game that can be played with as few as 2 golfers or as many as your event allows. Unlike most golf games, this game is entirely dependent on chance, making it perfect for golf outings, class reunions, tournaments, bachelor parties, and weekend matches. Each player starts the round with his/her own Shake of the Day™ card. They scratch off one area per hole for the entire round, with the object being to obtain the lowest score possible. At Lucky7Golf.com, no round of golf is complete without a friendly wager. While some golfers are satisfied with a simple $2 nassau, or a friendly game of bingo-bango-bongo, we strive to find games that provide action and test your nerve! Our games can be played on any course, and are a perfect complement (or replacement) to your weekend skins game, partners matches, best ball, etc. Try one today and see for yourself how exciting golf can be! © Copyright 2007 Lucky7Golf.com. All Rights Reserved.